Old dog, new tricks! Check out this complete color change for KC Elite Dog Training out of Kansas City. This Chevrolet Silverado was stunning before we wrapped it, but now its productive and protected. When your wrapped up every trip you take will create possible clients and lasting impressions for your business. 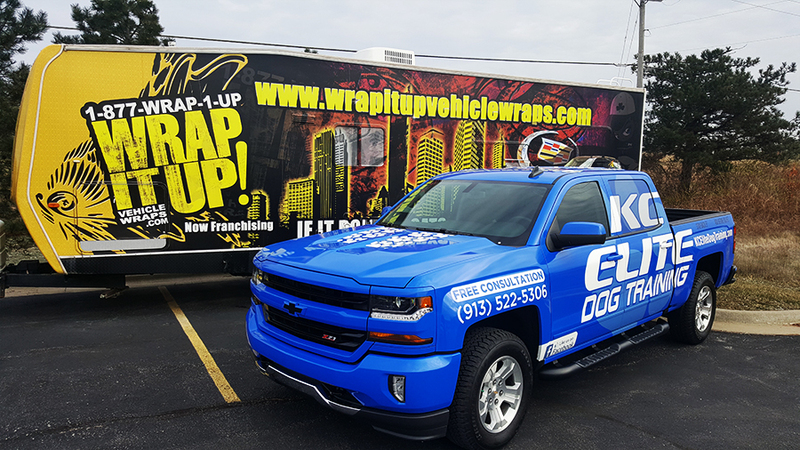 With vehicle wraps that new paint under the wrap will still be new and shiny when it is time for a trade in. If you are in the need of some dog training, make sure you contact our friends at KC Elite. Thanks KC Elite!